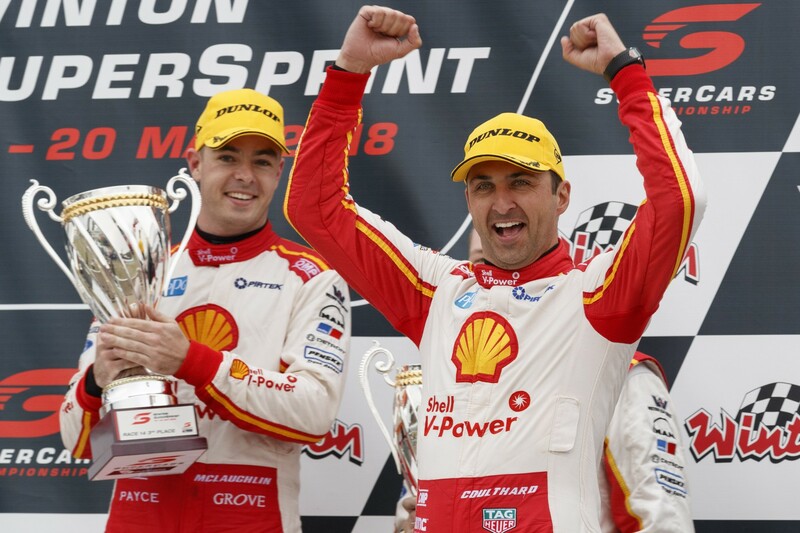 Swapping to a familiar clutch for the Sunday race at Winton helped Fabian Coulthard take a decisive early lead that set-up his drought-breaking win. Victory on Sunday for Coulthard marked his first since Sydney Motorsport Park in August 2017, a full 22 races earlier. 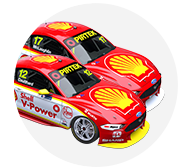 In that time Coulthard watched on as team-mate Scott McLaughlin raced to seven victories, well and truly establishing himself as Shell V-Power Racing’s shining star. 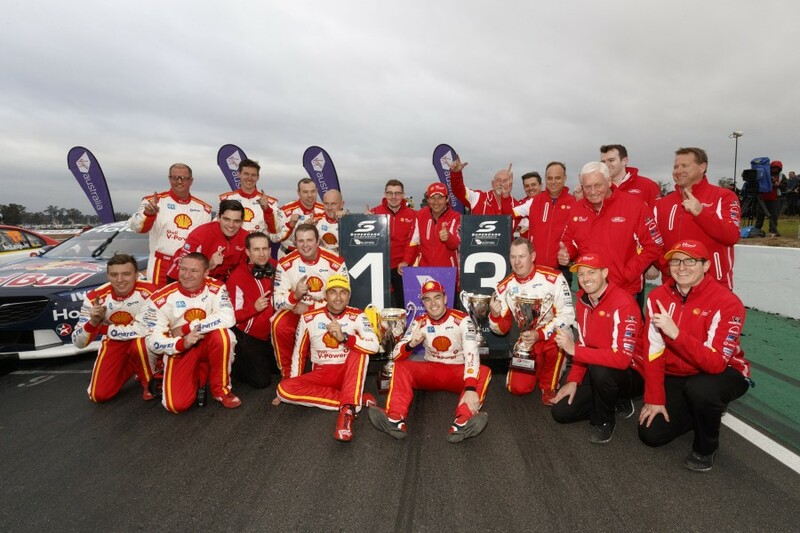 McLaughlin headed to Winton on a run of four-straight victories and with the series lead, while Coulthard was ninth in points, with only one podium to his name for 2018. On Saturday at Winton, Coulthard qualified second to McLaughlin but had a poor start, dropping to fourth, where he eventually finished. The roles were reversed on Sunday as Coulthard shot off into the distance while McLaughlin struggled off the line, dropping to eighth on the first lap before eventually recovering to third. “We put a new clutch in the car and I wasn’t happy with it, so I reverted back to my old clutch,” revealed Coulthard post-race. “It’s on its last tether, it was something I knew. Starts are all about processes and understanding what you’ve got. “[On Saturday] I released the clutch and I honestly thought it wasn’t in gear, then all of a sudden the clutch started to bite. While Coulthard now has a 2018 victory to his name, he remains without an ARMOR ALL Pole Position since Barbagallo in May '17. Since then, McLaughlin has taken a staggering 21 poles in the same equipment. 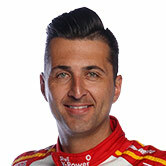 Asked if the Winton win will help his confidence, Coulthard stressed McLaughlin’s quality. “You’ve got to have an element of self-belief. I know that I can do the job given the tools,” he said. “You’ve got to make those bad days not as bad, but I’ve got a class team-mate. It’s no secret. If he wasn’t here over the weekend, I would have had two poles. That’s just the way it is. Coulthard added that everyone on his side of the garage should gain confidence from the win, including race engineer Mark Fenning, who moved onto the #12 entry this year, replacing Phil Keed. “I think days like today give everybody confidence [to] back yourself, go with your gut,” he said. Coulthard is now seventh in the Virgin Australia Supercars Championship standings, 408 points adrift of leader McLaughlin.